The strongest silicone cups on the market! 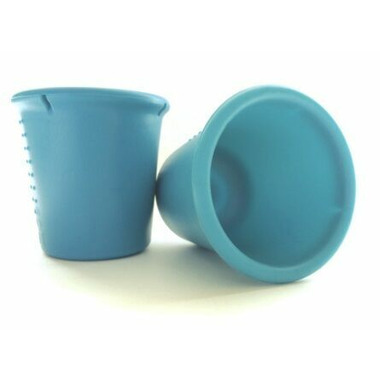 The Siliskin® "Super" Cups are 100% silicone with an embedded stainless steel ring to hold it's shape. It won't collapse when gripped. It's also MICROWAVE SAFE. That's right! Our patented technology paves the way for a new drinking experience. Warm up drinks in the Siliskin Super Cup. The perfect alternative to plastic cups! Great for on the go, indoor, outdoor, boating, camping, rving, poolside and everyday use! I love these cups! I hate plastic and glass with kids can be sometimes concerning so these offer a great alternative! They seem very durable and my kids love them so fat!